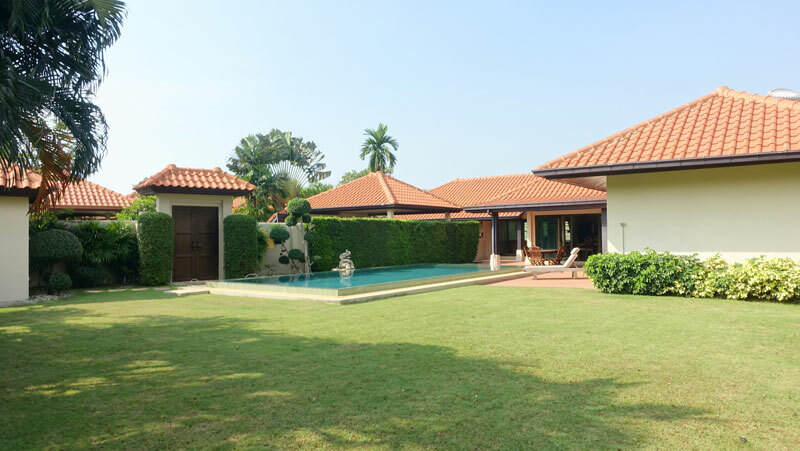 In the popular, upscale gated community of Baan Balina 2, that is quietly yet centrally located, this villa offers the most generous sized garden (834 m2 plot), the largest pool and one of the largest houses of the estate. 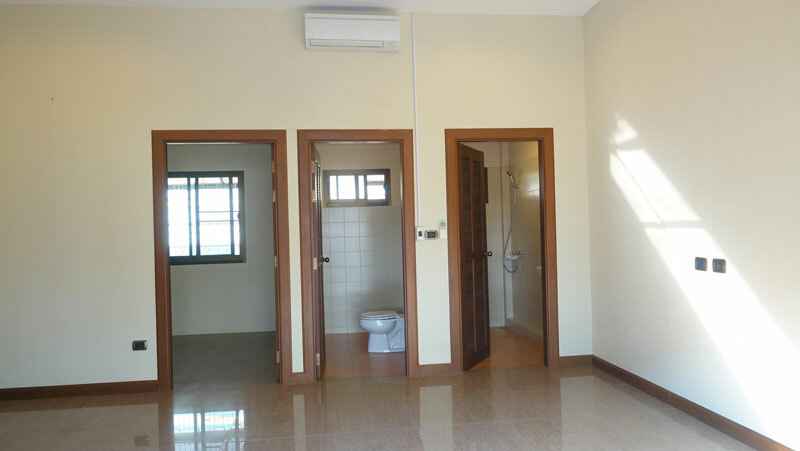 The main-house consists of 3 large bedrooms, each with its own en-suite bathroom with shower cubicle. 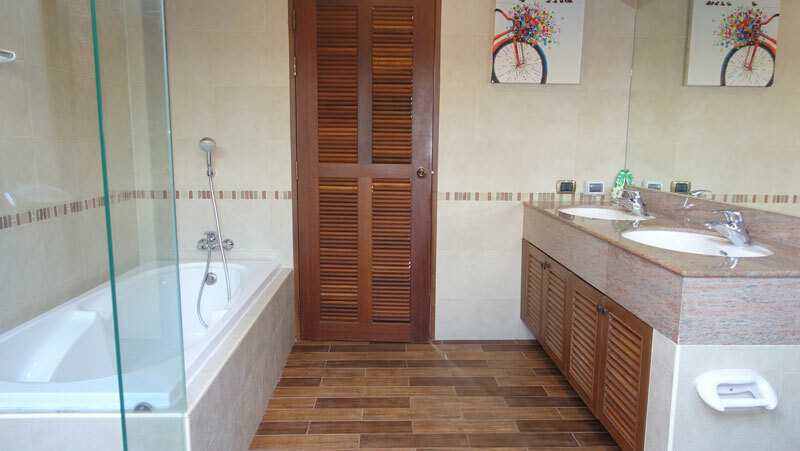 The master-bathroom offers two showers - one outdoors under the sky - and a bathtub plus double sink basins. The 4th bedroom is a bit separated, besides the double carport. It is smaller and would make a good guest- or maids-room. Next to it, a storage room for everything that piles up over times. 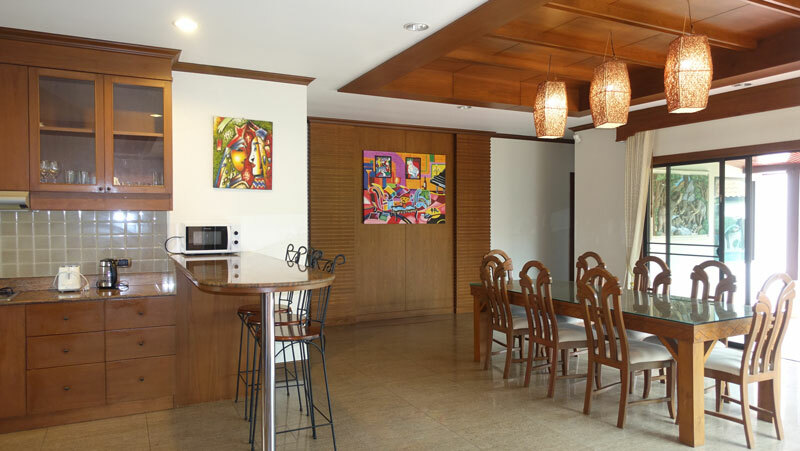 The center of the house is the open-plan living-area that is connected to the dining-area and in the backside the generous western kitchen with a breakfast bar. 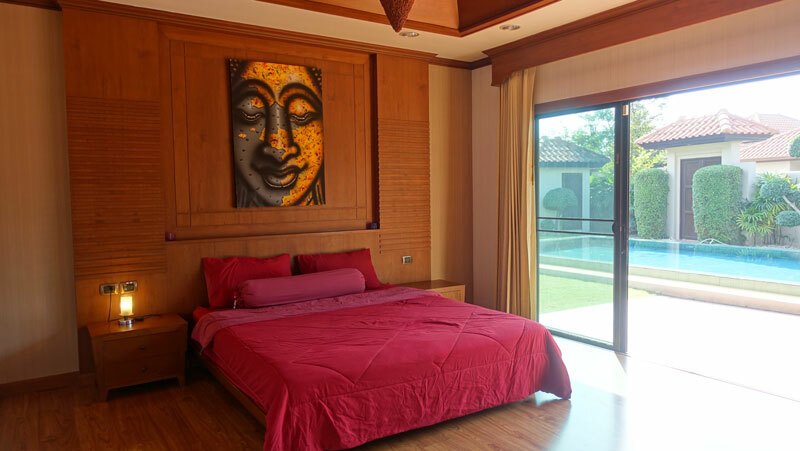 The rooms are light and airy, providing wide sliding-doors to the outside where the big salt-chlorinated pool that comes with beautiful natural stone tiles from Bali, is expecting you. The outdoor-shower is nearby and the gardens are more than big enough for outdoor games. They are easy to maintain as there is a sprinkler system. 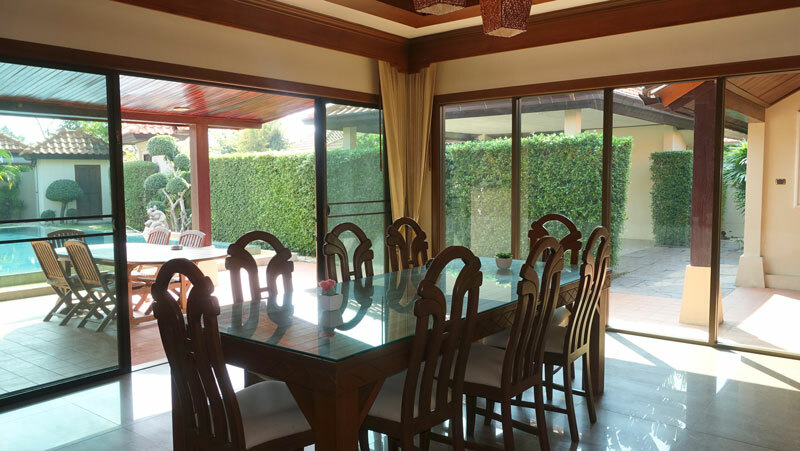 The property comes fully furnished, with everything seen on the photos. The walls are wall-papered, there is fiber-optic Internet and 6 air conditioners are installed. 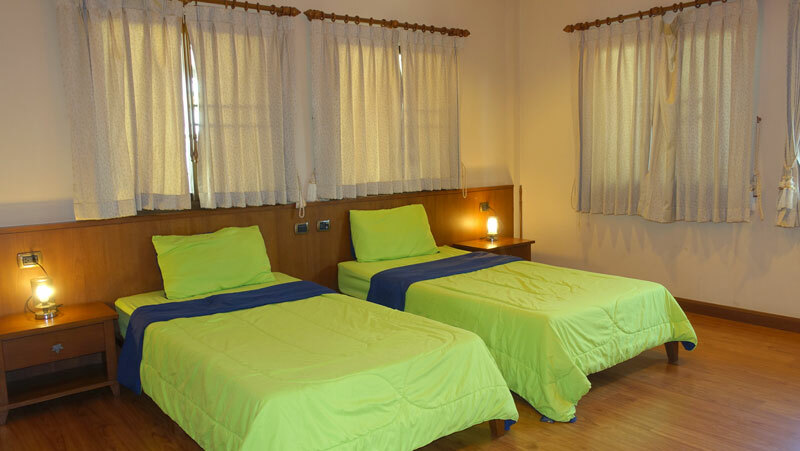 A nice, safe property with the social life of the village with its communal facilities. It takes you less than 5 minutes to the Pattaya bypass or to Sukhumvit road. 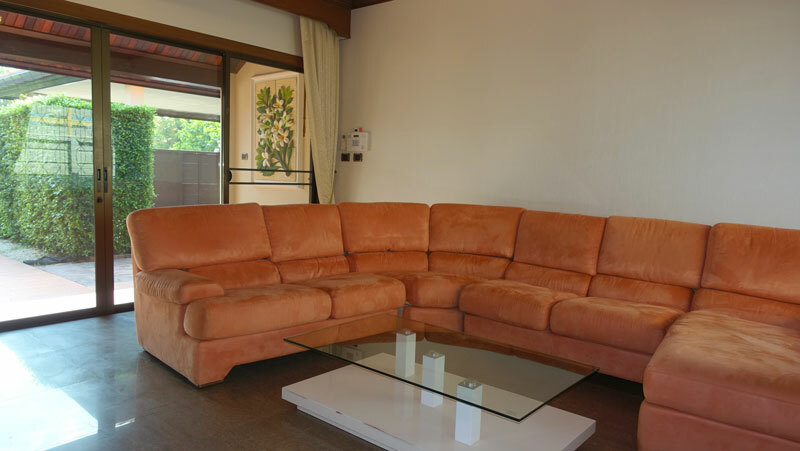 The beach, plenty of restaurants, Shopping centers and the entrance of Pattaya are 10 minutes away. 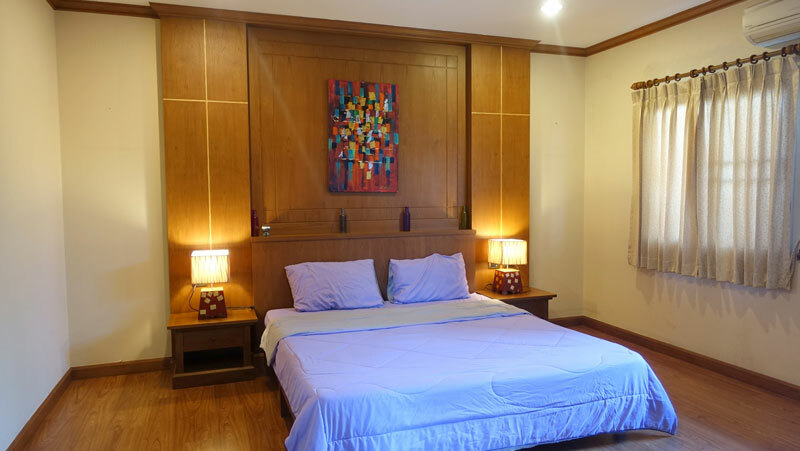 The fresh-market and many convenience shops are just 500 meters away. Wonderfully quiet and away from busy life but very well connected to all desired directions. 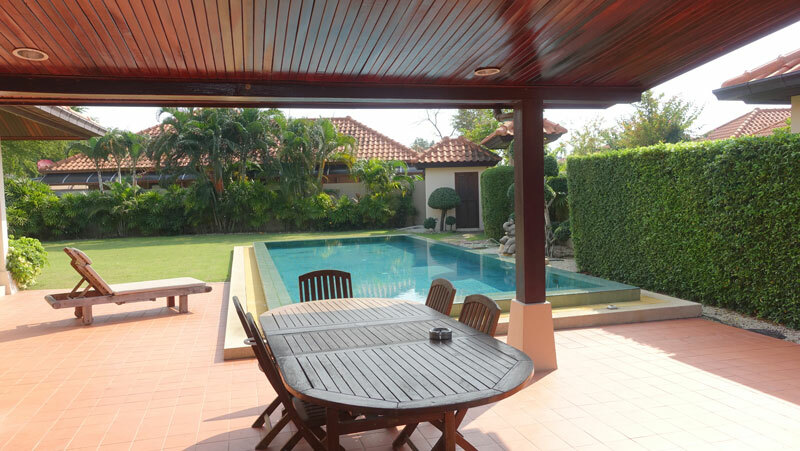 The villa is located within the popular, quiet and well-cared Baan Balina 2 village, on the outskirts of Pattaya. The estate offers lots of trees and plants, the cables are all underground and the roads wide and in best condition and the night illumination beautiful throughout the estate. There is 24 hrs. security and care for roads and communal greenery. 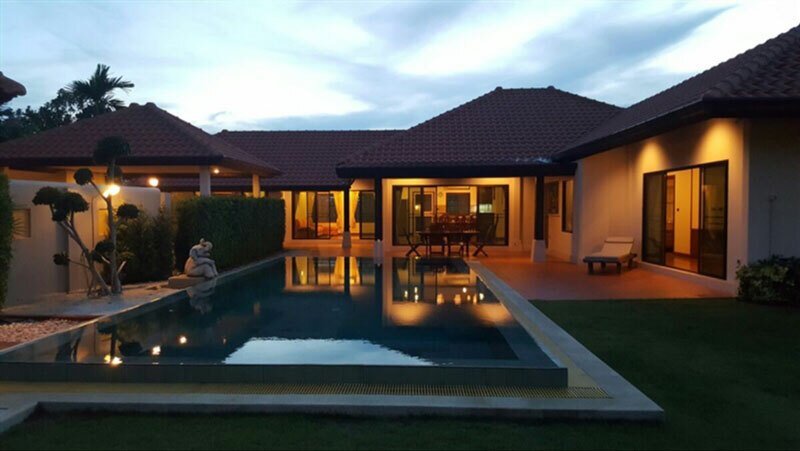 The property comes with a Thai Company limited which is a great advantage for a foreign buyer.